A luxuriously soft and silky wash that cleanses skin while releasing a fragrance inspired by Paris in the late 20s and its infatuation with African culture, art, music and dance, illustrated by neroli, African marigold and Moroccan cedarwood. 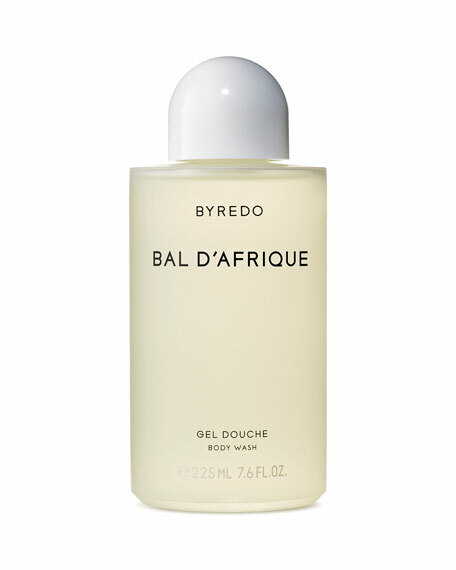 This euphoric body wash is paraben free and offers the perfect complement to the Byredo Eau de Parfums. 225 mL/ 7.6 fl. oz.